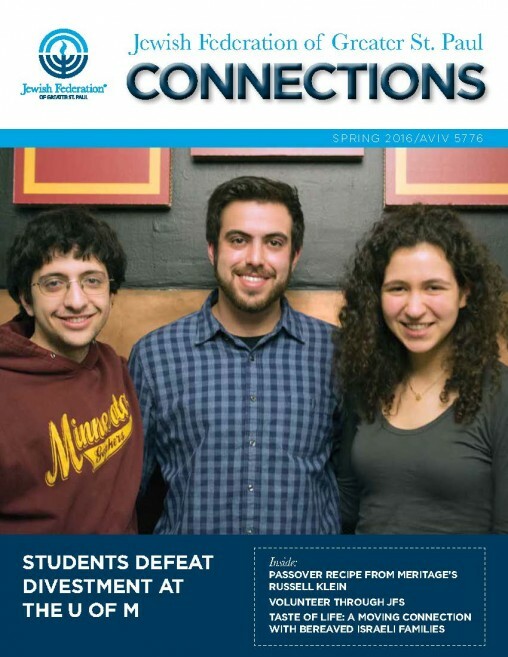 Stay up-to-date on all things Jewish St. Paul with Connections. Learn about about what's going on at home, in Israel and around the world. Find out about the real impact our community has on Jewish lives. Plus, all the latest on upcoming events! 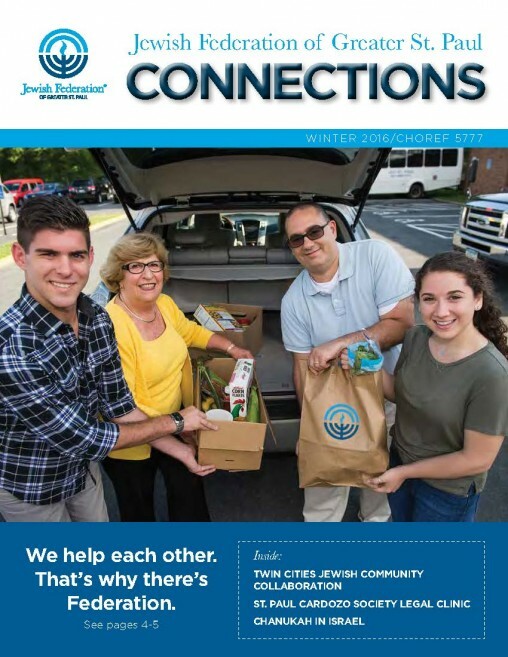 Copyright © 2019 Jewish Federation of Greater St. Paul. All Rights Reserved.